Board members from left: Kathy Spiers, Bernie Randall, Guy Burns, Jonny Best, Cr Fiona Vining and Cr Mark Benton. 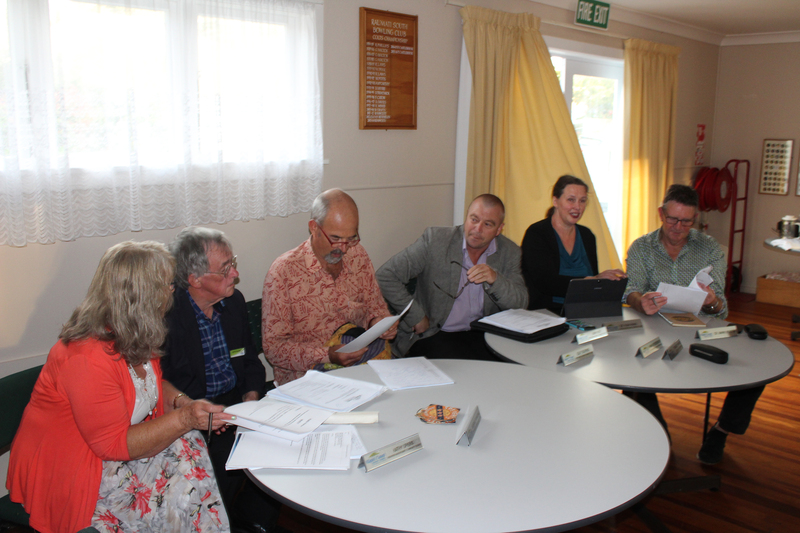 For a change, Geoffrey went along yesterday evening to the Paraparaumu-Raumati Community Board meeting. The ward covers a much bigger area than Waikanae and for that reason has two councillors rather than the one in each of Otaki, Waikanae and Paekakariki. This board seems to have a better dynamic with smoother interaction than is the case in Waikanae. There was also a more interesting set of topics at the meeting than is usually the case in Waikanae although, of course, that may be atypical. It was reported from the meeting held in Paraparaumu on Monday that Meth is the easiest illegal drug to obtain in Kapiti, almost like going down to the store and getting a pound of butter. One man said that he could go down the street and get a supply within two minutes. The consequences on economic and social life are not nice — particularly if there are children in the house. Teachers told what they are like when they come to school and Cr Vining said that as a family lawyer in Kapiti for 3 and a half years, she’s heard some shocking stories. There are no Kapiti-based drug and alcohol services, detox etc., or a crisis service for mental health. The current service is reported to be difficult to access with scant resources to meet ongoing needs.